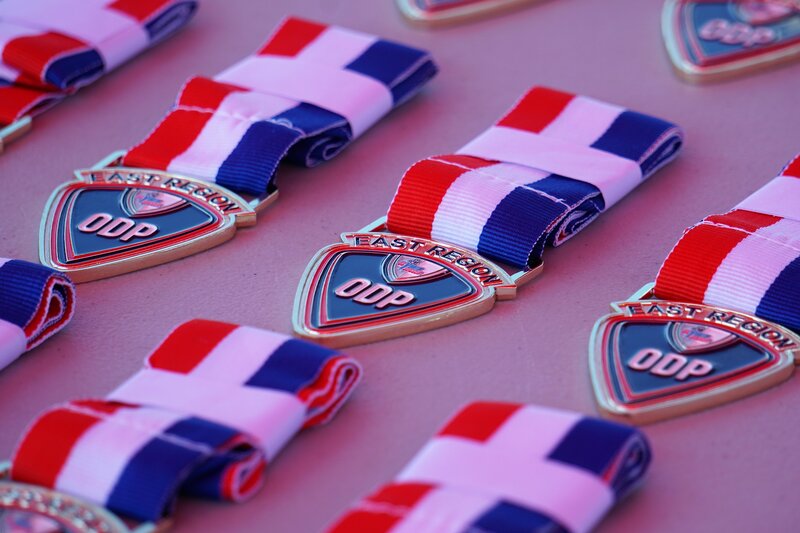 J4K of East PA Keepers played a huge part in helping several East PA ODP teams be crowned Region 1 ODP Champions this past weekend in Kirkwood DE. Zach R. made several crucial saves and was instrumental in the buildup to the first Goal for the 2001 (U17) Boys 2-1 victory against a strong and well-organized New Jersey team. Alessandro V. was solid, held his own, and helped preserve the shut-out when called upon for the 2002 (U16) Boys as they were crowned champions seeing of the persistent New Jersey team. Olivia K. and Brooklynn H. shared the goalkeeping responsibilities as the 2002 (U16) Girls brought home the title with a 3-1 win over Virginia. During the Group stage, semi-finals and final the 2002 girls scored 24 goals and only conceded 3. Riley H. was a Strong leader helping the 2003 (U15) Girls to a 2-1 Overtime win over a relentless New York West team. Both the Semi-final and the final went into overtime, with Riley being influential in the semi-final helping the girls progress in a nail-biting PK shoot out!! Congratulations to Zach, Alessandro, Olivia, Brooklynn, and Riley, all of Us at J4K of East PA are so proud of your achievements. J4Keep up the Great Work! !